It’s tough keeping kids from summer boredom especially when it’s so hot outside! Of course, they can get wet but there is only so many times a kid can run through sprinklers and think it’s fun right? Well, I have another fun way to play outside using water balloons without water and that is with Shaving Cream Balloons for Kids! While these are totally messy, that is exactly what makes them fun. These balloons are lightweight, easy to handle, and they don’t pop as easy as regular water balloons. 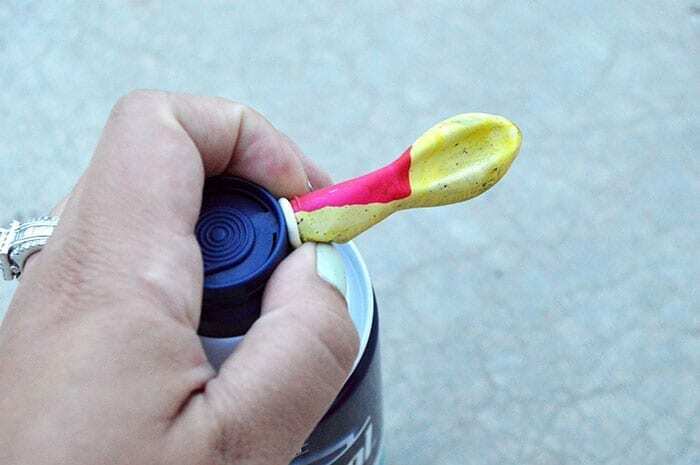 Take a water balloon and place the opening onto the spout of the shaving cream can. 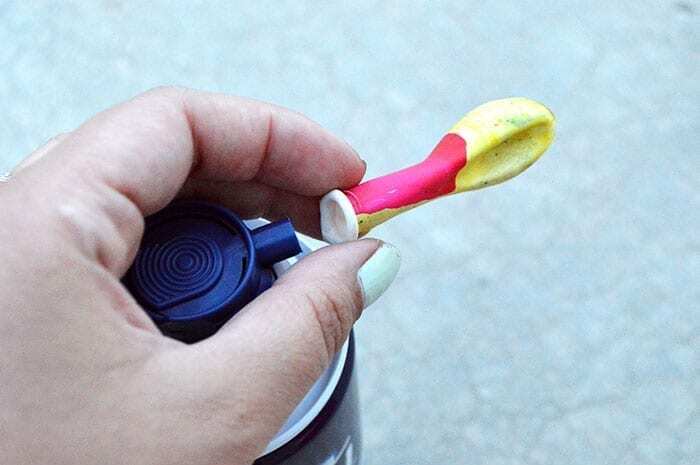 Tightly secure the balloon around the tip of the shaving cream spout by using your fingers. 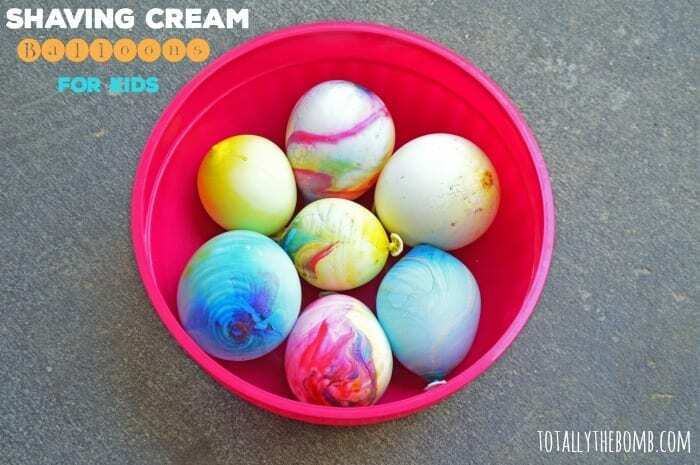 Fill the water balloon with the shaving cream by applying a good amount of pressure. If you apply too slow, the shaving cream will come out the sides of the balloon, too fast and the balloon might pop so try to find a happy medium. Once the balloon is filled with shaving cream, gently tie the balloon and place into a large bowl. Continue these steps until you have enough for your kids to play with. Let the kids go wild and have a foam fun time! When it’s time to clean up all you have to do is spray the areas covered in shaving cream with water. The shaving cream will then dissolve making clean up a breeze! Plus you won’t end up with any clumps of shaving cream in your home which is something any mom would fear. 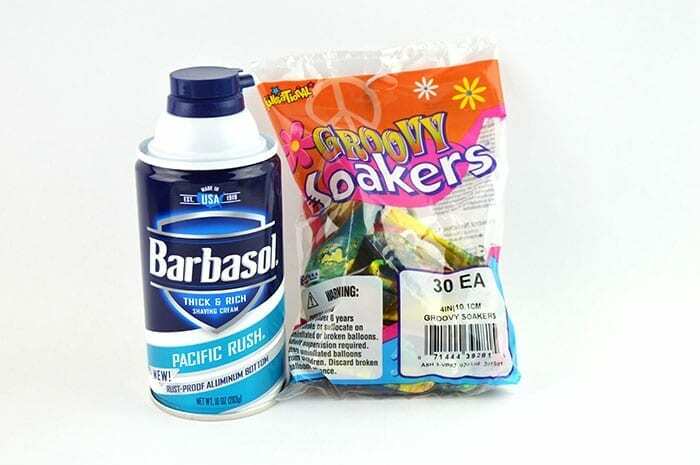 Although these are perfect for the kids, you can certainly have fun with these as an adult too! Can you imagine how fun it would be to have these at a barbecue for everyone to play with? You could even make a ton and place them inside a kiddie pool to allow guests to get in and have some fun. Just keep the hose handy for easy clean up! Want to really amp up the party? 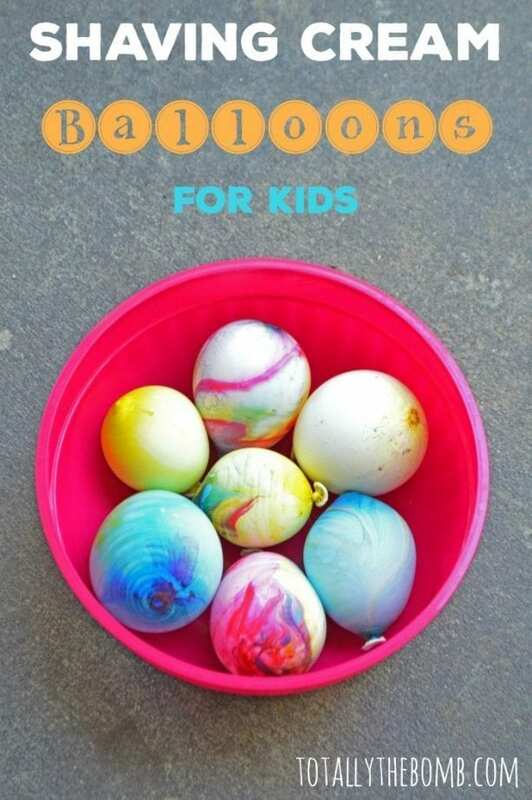 You can take this idea one step further and add a drop of food coloring into the balloons before filling them with shaving cream and you will have COLORED Shaving Cream Balloons! It will look like a rainbow laughed and cried everywhere. I am totally obsessing over the idea! Hey another BRILLIANT idea is to add a drop of essential oil to each balloon, that way they also smell great AND your children can get the benefits from the essential oils while they play!! Looking for more fun and kid-friendly activities? 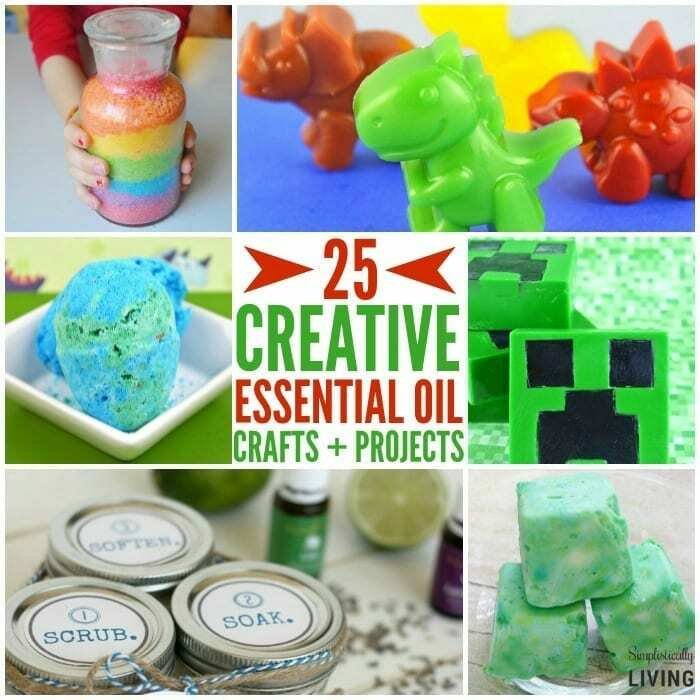 Check out 25 Crafts and Projects Using Essential Oils!